Consumers live busy lives. Time management plays an important role in today’s busy society and any product or service that saves people time will be well-received by consumers. Retailers know this fact and many of them are catering to their customers to become more consumer-oriented and at the same time, reaping the profits since consumers love convenience. In the age of information and computers, retailers benefit from having an online presence. Not only can they make their brick and mortar store known but also available to the entire world. Today, retailers are offering the convenience of Click and Collect to consumers. This excellent service will save tons of time to consumers who can order the desired product online and collect it later at the store. It can also be delivered at home, if need be. Many services not only save time, but also money. The click and collect program from Blockbuster.co.uk is designed to provide convenience as families can order a movie online and pick it up at any convenient Blockbuster store. However, families can benefit from saving money since the cost is less expensive than going to the movie theatre. There are also special discounts and customers can make their reservations in advance. 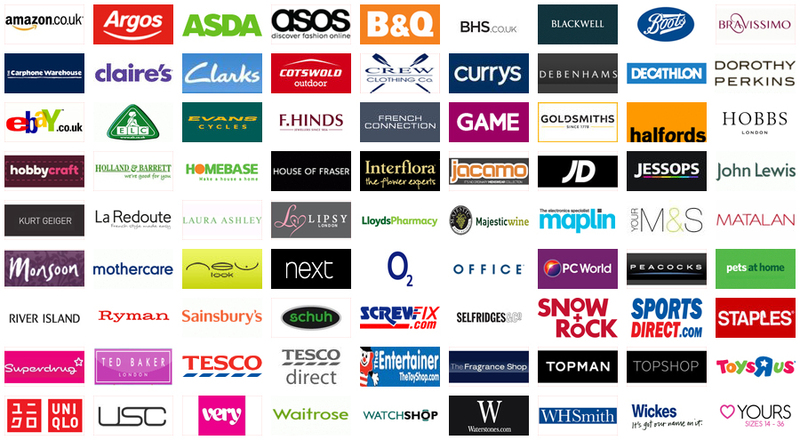 Other UK stores such as Sainsburys, GAME, and many others have joined in the Click and Collect program. Consumers can buy online and collect their products at any selected store. When sending a parcel, UK customers can take advantage to click and collect by paying for it online and schedule it for collection – all done online. Other stores such as Amazon will start collect centers or stores at different sites so customers can pick up their orders when it is convenient for them instead of waiting for postal delivery. Amazon will be competing with John Lewis and Argos stores that offer a similar service. For many retailers, this will mean the possibility of offering large products to consumers, as they can be collected at a convenient store. Some supermarkets such as Tesco will charge a fee to consumers and they can click their groceries online and collect them later, at a designated area of the drive-thru store. Customers who do not have time to shop at the store or do not want to wait for delivery of the goodies can opt for Click and Collect. This will benefit many busy Mums and young professionals. Other stores reserve the Click and Collect service for certain merchandise only, and some do not offer it for the busiest season – during the Christmas season. Other stores, like Argos, are going beyond and going into partnership with Shutl to offer a service to customers who cannot collect their order in time – they will collect and deliver the reservation for the customer. For an extra fee, the reservation will be delivered by courier to the customer residence. The Click and Collect service that many stores in the UK is offering to consumers has been well-received by many consumers who can benefit from it. Many consumers who like the idea of Click and Collect love it because of the convenience, especially people who have physical challenges and disabilities and have a problem going shopping on their own. For many, the service has been a lifesaver.